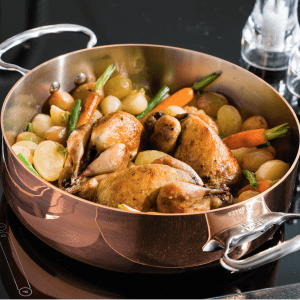 The reference cookware of the Grandes Cuisines and of French Cuisine. 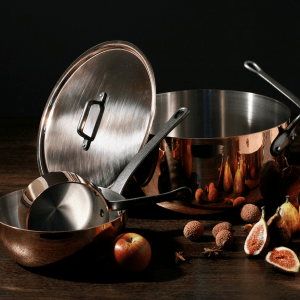 The utensils in the de Buyer Inocuivre range are 90% copper and 10% stainless steel on the inside. 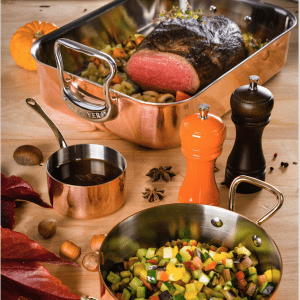 Copper is the best heat conductor and ensures a perfect heating circuit throughout the entire container.